Rodriguez Jr. has been very busy in the studio lately, after just releasing his latest album on mobilee, he still found the time to create this stellar remix for SIS on his 'The Blind Side' EP for Crosstown Rebels. You can grab a copy of the remix over on Beatport today! Join us on the 6th of August for another mobilee take over on the Hotel Diagonal rooftop. This time around we’ve invited artists from the mobilee and Leena Music family to create a musical paradise for you. William Dojoko and Ralf Kollmann will join the legendary Kevin Yost on the decks. Tickets are still available on Resident Advisor so get yours today as space is limited. House legend Pete Tong has played "Ellipsism" from the upcoming Rodriguez Jr. album on his BBC Radio 1 show last Friday. He featured the track directly after his Hot Weekend Mix 1 as a stand alone feature in his show. You can listen to the whole show which also includes a mix from Ben UFO over on the BBC website. House and techno media giant Resident Advisor has featured Rodriguez Jr.'s upcoming 'Baobab' release on their website. In anticipation for the albums June release RA has announced the album with the recent album teaser ready to stream on the site. You can read the full article over on the Resident Advisor website. 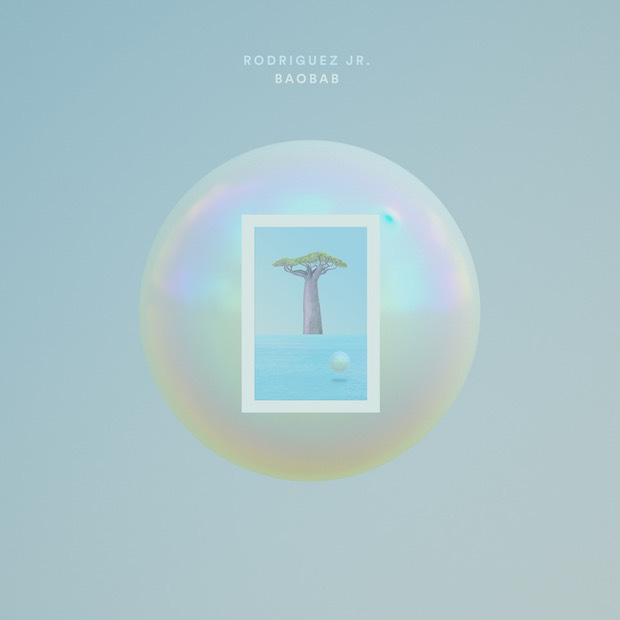 Rodriguez Jr. - Baobab coming soon! “Baobab is about roots. It has mainly been written whilst traveling and I needed to re-connect to my roots: the music I used to listen to as a teenager from South Of France, my first parties, this fantastic sense of freshness, enthusiasm and innocence. This is why I decided to call it Baobab: a big tree proud to grow up in a lush surrounding, with it’s roots deep in the floor”. Rodriguez Jr. understands the importance of empty spaces. The purposeful silences in-between each track enable reflection on what you have just heard. Skillfully using sounds and effects, he creates a masterclass in emotive music. Collaborating with Liset Alea, the singer and composer from Nouvelle Vague, whose vocals shine through on three of the tracks of Baobab as well as Rodriguez Jr's own vocals on Heal Me, a track touching on the complexities of being human. Speaking about his collaboration with Liset, Olivier says, “the singer is a key part of this album as her voice is a link between different phases. The interaction in the studio has been extremely spontaneous and emotional”. An Evidence Of Time opens the album with a heartbeat and steps into the intricacies of Olivier's mind. “Wake me, shake me, in the middle of the night, surprise me out of a dream” Liset Alea sings with a vulnerability on Waste Tomorrow, a track that is like an awakening, ending as abruptly as it begins. Liset returns in Take A Walk, it’s prolonged introduction heavy in mood and punctured with piano keys. Radian floats away with a range of cosmic sounds brimming with atmosphere and the enchanting Monticello ramps up the intensity. Liset makes her final appearance in The Heart Is A Woman, bringing richness and depth before the album concludes with the elaborate Ellipsism, and the anthemic Tomorrow Never Comes. Pre-sales for the album have already begun to get a head start and reserve your copy today! The album will hit all digital shops on the 2nd of June 2017.